Pele de Rede Pearl MFH22B. Material: Mesh. Diâmetro: 162. Remo Powerstroke 3 Coated 13"
Pele de Tarola Remo Powerstroke 3 Coated 13". Material: Duas camadas Mylar® superior 10 mil e inferior de 3 mil. Diâmetro: 165. 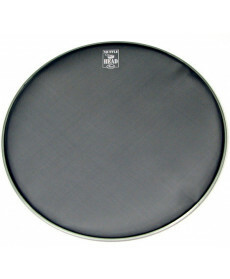 Remo Powerstroke 3 Clear 14"
Pele Timbalão Remo Powerstroke 3 Clear 14". Material: Duas camadas Mylar® 7 mil. Diâmetro: 164. Pele Timbalão Evans TT16EC2S Clear. Material: Duas camadas Mylar® 7 mil. Diâmetro: 164. Evans™ EC2™ series features two plies of 7mil film with optimized attack, tone, length of sustain and ease of tuning for each size head. 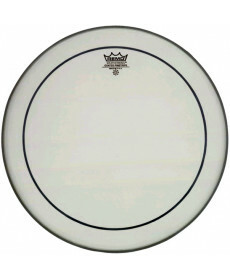 Pele Timbalão Evans B16EC2S Frosted Tom Batter. Material: Duas camadas Mylar® 7 mil. Diâmetro: 164. Evans™ EC2™ series features two plies of 7mil film with optimized attack, tone, length of sustain and ease of tuning for each size head. Pele de Timbalão Remo Ambassador Renaissance 12". Material: Duas camadas Mylar® 7 mil. Diâmetro: 164. The Ambassador® Renaissance® features a warm, dark tone with a soft feel. 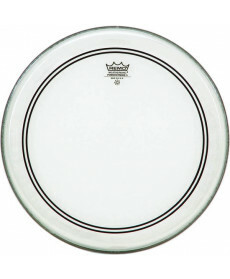 Pele de Tarola Remo Ambassador Renaissance 14". Material: Duas camadas Mylar® 7 mil. Diâmetro: 164. 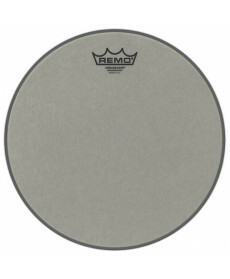 The Ambassador® Renaissance® features a warm, dark tone with a soft feel. Remo Powerstroke 3 Coated 14"
Pele de Tarola Remo Powerstroke 3 Coated 14". Material: Duas camadas Mylar® superior 10 mil e inferior de 3 mil. Diâmetro: 170.